Regardless of what fitness fad comes through, running will always be there. Whether you’re a seasoned veteran of the Colour Run, Round the Bays, the Auckland Marathon or you just like to run after work or hit the treadmill – running is fantastic because all you need is a decent pair of shoes and you’re ready to go! But therein lies an important issue – a decent pair of shoes. When you’re running, especially over a long distance, a well-supported shoe is vital. Reebok’s Floatride is the first to champion Reebok’s latest Floatride Foam technology. It boasts a high-energy return foam that provides a reactive amount of bounce for not only short-distances, but over long-distance running too. It all starts from the ground up. The outsole tread rubber features a well-crafted ripple design to keep ground contact even across heel to toe. 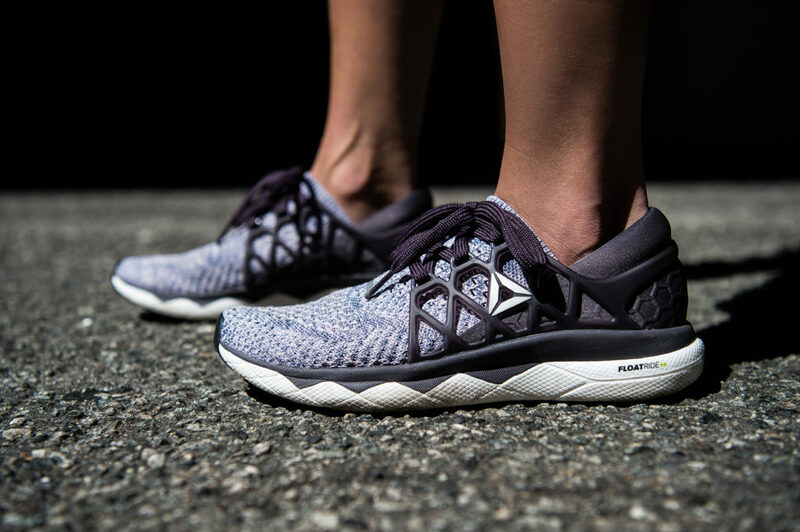 Reebok’s Floatride Foam is pressure-set with a consistent cell structure to deliver the right balance of lightweight cushioning and a responsive feel. Further foot support comes through with supportive EVA foam to keep your foot centred and balanced. The 3D heel cradle is designed to keep heel irritation at a minimum whilst locking in a secure fit. Breathability, is of course extremely important – the Floatride’s seamless one piece Ultraknit upper lets your feet breathe with the right amount of support. Whether you’re an avid runner or simply looking to up your cardio, look into the Reebok Floatride Run . It’s an upper-tier shoe that provides exceptional comfort and performance output. Check out a pair for yourself at the Reebok website.